When Elizabeth Tysoe accepted a secondment in the prison service she had no idea what to expect. When Elizabeth Tysoe accepted a secondment in the prison service she had no idea what to expect. More than a decade later she has received an OBE for her contribution to offender health, in recognition of the key role she has played in transforming prison nursing. 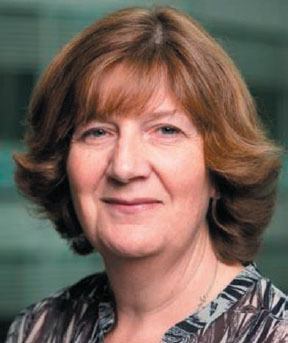 Ms Tysoe was working at Dartford and Gravesham NHS Trust in Kent when she was offered a secondment as head of health care at HMP Woodhill, a category A male prison in Milton Keynes. ‘My first prison had a very forward-thinking and supportive governor. Nurses elsewhere were struggling to get changes made,’ Ms Tysoe says. A breakthrough came in 2004 when responsibility for prison health services began to be handed over to the NHS. By this time, Ms Tysoe had been seconded to Her Majesty’s Inspectorate of Prisons (HMIP) where she became deputy and then head of health inspection. ▶ The total UK prison population is more than 85,000. ▶ Many prisoners have had little or no regular contact with health services before entering prison. Prisoners tend to have poorer physical, mental and social health than the general population. More than 70% of sentenced prisoners experience two or more mental disorders. An estimated 5-10% of the adult offending population has learning disabilities. Older prisoners are the fastest growing age group in the prison population. Ms Tysoe was accompanied by her two sisters and RCN professional lead for criminal justice nursing Ann Norman, who nominated her for the honour. Ms Norman says: ‘Elizabeth stands head and shoulders above other leaders. Despite working in a difficult environment, she has remained a nurse through and through. Miss Tysoe says that change came rapidly during her ten years in the post. As well as prisons and young offender institutions, the inspectorate now inspects all establishments that detain people in England and Wales, such as immigration detention facilities, police and court custody suites and military detention centres. She says: ‘There have been significant improvements in custodial health services over the past ten years, especially around governance and bringing health care up to NHS standards. There have been big improvements in mental health care and much greater liaison between services in prisons and those outside. ‘Innovative specialist work, such as in diabetes and respiratory care, is provided in prisons by practice nurses,’ she adds. However, Miss Tysoe says that more improvements are still needed and she sees better management of prisoners with learning disabilities as the next big task.